It's Melodrama Time! 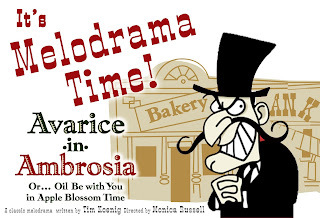 Tickets are on sale for "Avarice in Ambrosia"! It’s Apple Blossom Festival time in the Old West town of Ambrosia, and all the townsfolk are looking forward to the celebrations. But something — or rather, someone — is rotten and wants to spoil everything. The evil Hagloe Crab and his sidekick, Roxbury Russet, are planning to swindle sweet Honey Gold and Granny Smith out of their properties. Will the handsome sheriff, Adam S. Pearmain, and his near-sighted deputy, Ben Davis, be able to save the day? Find out in this hilarious melodrama filled with sight gags, puns, slapstick, confusion, miscommunication and a twist ending. 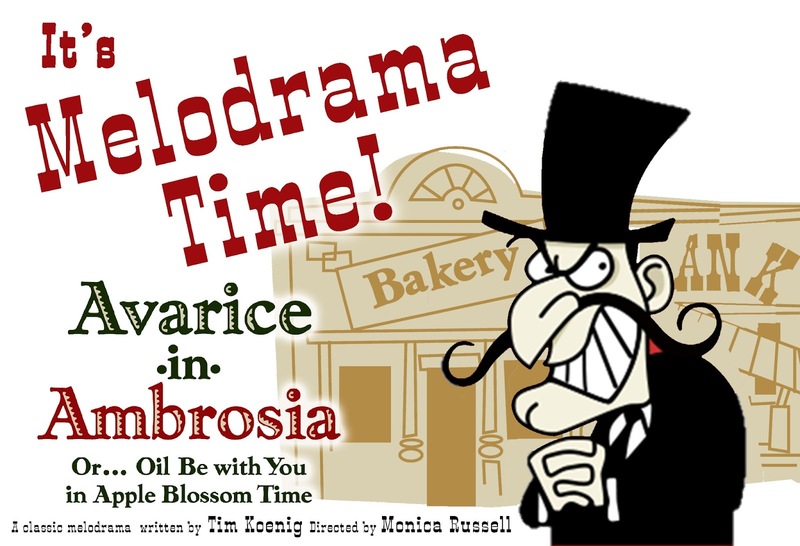 Tickets are now on sale for "Avarice in Ambrosia". Show dates are September 2, 3, 8-10 (8 PM), and September 4 (2 PM). All seats $10. Click here to get your tickets now! Enjoy the crazy melodrama fun! !